The other day I accidentally broke one of the chains off of my ceiling light/fan. It still works, but it's more difficult turning the light on and off. It can easily be fixed but it got me curious. So it got me browsing a few websites for different types of lighting. Below is a ceiling fan from Home Depot, and it's basically what I have right now (except mine is all white, and of course one of the chains is missing haha). For now, I'm going to try to fix the chain. But when I do move out, I'm definitely getting a chandelier & pendant light somewhere! I also saw Get Him to the Greek last night. It had his funny parts, but I got pretty bored in the middle & the rest of the movie sucked for me. Did any of you see it yet? P.S. Stay tuned for an upcoming giveaway!! Thanks for the movie review...thinking I will wait this one out. Good luck with your light! I love a chandelier, too! I have one in every room including the kitchen...I'm addicted. Russell Brand annoys the heck outta me, I saw the trailer for this movie last night and it didn't look good. Havent see the movie yet but love the lightings you put!!! Sorry the movie was lame. I hate when I spend money on something that disappoints. Oh, I think the chandeliers would look so great in the dining room!! And chandeliers are my favorite. I really want to see that movie. 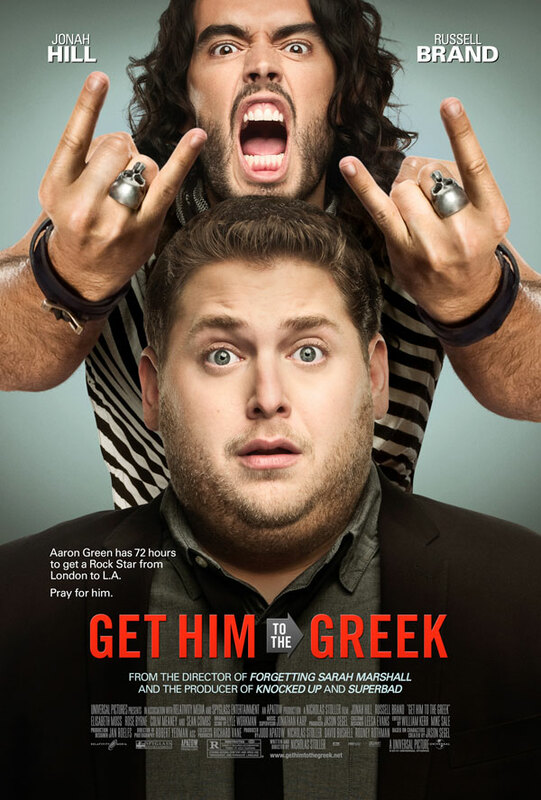 I'm a huge Jonah Hill and Russell Brand fan! I would very much like a chandelier for my bedroom, the problem is that my bed is too high so I might hit my head when I get up in the morning. Sigh. it looks so elegant having one on top of your bed though!! btw I gave you an award! those chandeliers are super wonderful ! Well I'm sad to hear the movie wasn't great, I've been wanting to see it! Oh my gosh, I LOVE those pretty chandeliers -- I'd love to have either in my bedroom! I love chandeliers, too! They are so elegant and very beautiful! I only saw the trailor for it tonight - isn't out in the uk for a while yet...late summer. I felt the same way about Forgetting Sarah Marshall, funny but got kind of boring! And I love love love chandeliers! I'm definitely having one in my dream home! I haven't seen the movie :x is it that bad? I don't realy line up to see comedies.. they can be quite disapointing some times. Beautiful lightings!! Def. have to see that movie soon!! Those first chandeliers are so my style. Gorgeous. Great looking lights. They can make a room look so special. These are fantastic lighting ideas!